Fordyce Creek is located in the Sierras just west of Truckee, California. 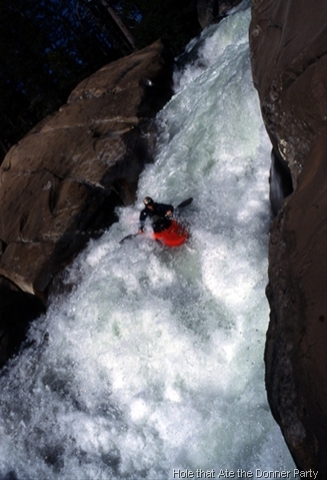 It is an absolute gem for its spectacular scenery and miles of uninterrupted rapids. 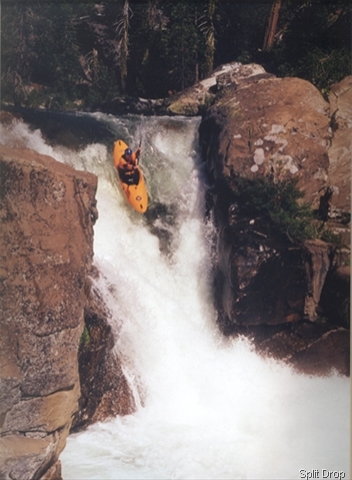 I often feel as if I am traveling on a high alpine trail when I am kayaking Fordyce. However, Fordyce is not to be taken lightly. 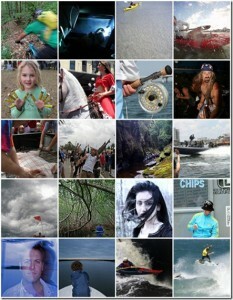 It is fairly remote and full of surprises. I have seen a significant amount of carnage over the years, including one death as a result of a vertical pin, a deep face laceration, a fractured jaw, and several swims. Additionally, every year there are new placements of fallen trees to contend with, and these obstacles always seem to be around blind corners or hidden in tight chutes. Despite these inherent dangers, Fordyce is an unforgettable experience that will leave you both satisfied and sufficiently exercised. 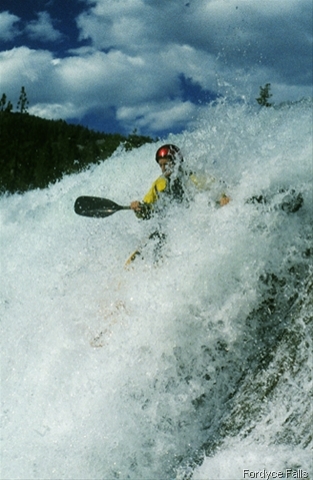 Optimal flow is between 3-600 cfs, but it can be run as flows as low as 200cfs. Boatable flows on Fordyce are few and far between. In my experience, the past 8 years have consisted of calling the dam keeper and asking what the flow is. Usually, there is a period of one to two weeks in the Spring when it is running, and then sometimes is the Fall it will also run as they prepare to drop the reservoir down for the winter. Part of the problem is the area around Fordyce is a popular recreational area for OHV-4 Wheelers, and many of them like to cross the creek. Even though many of them equip their vehicles with snorkels, the creek has to be at fairly low level for them to make it across; in fact, I have seen several of them stuck in the river, attempting to wench their way out. So come summer, the snow completely melts away, Fordyce release levels go down, and the 4-Wheelers come out. Naturally, I would like to see a compromise where whitewater enthusiasts can be guaranteed boatable flows for part of the summer, and the 4-Wheelers can have their own scheduled dates. 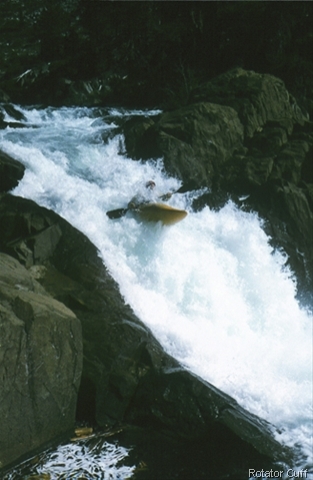 For as it stands now, kayakers and rafters are not receiving equal consideration. Once you make the challenging 4-wheel drive down to the put-in, look for the water shooting out of the pipe at the bottom of the dam. If it’s not, you have just gotten screwed by the irregular releases that have historically presided over the run. If there is water you scramble down the trail adjacent to the dam and the outflow pipe for Fordyce Lake. Look for the painted arrows at the far side of the parking area. As soon as you apply your first stroke forward, the day is on and you are quickly approaching the first rapid, Eraserhead. A fun 50 foot slide, Eraserhead is usually run far left or center until the bottom,where it is best to make an immediate right at the point of connecting with the bottom hole. There are many class IV rapids between here and the portage. Although, it should be noted the portage has been run by at least two people I know of, one of which had a dicey run at best. You will know when you are getting close because you will emerge into an open hanging valley suspended above a spectacular view of Old Man Mountain. Portage right or left.